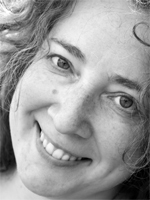 In the first of a series of interviews with writers from Still, Tania Hershman talks about her life as a writer and her approach to the story she wrote for Still. TANIA HERSHMAN LIVES IN BRISTOL. Her first book, The White Road and Other Stories (Salt, 2008), was commended in the 2009 Orange Award for New Writers, and included in New Scientist’s Best Books of 2008. 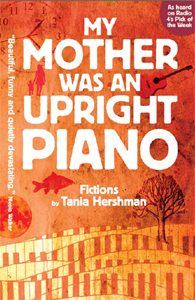 Her collection of short stories My Mother Was an Upright Piano: Fictions was published in 2012 (Tangent Books). For Still, she has contributed a strange, disturbing story called ‘Switchgirls’. I began writing as a small child. I think it was Roald Dahl that started my love for stories. Then, after a slight detour via a BSc in Maths and Physics and a career as a science journalist, Ali Smith was one of those who returned me to my first love and it’s been short stories ever since. You’ve published two volumes of short stories, the most recent My Mother Was an Upright Piano: Fictions (Tangent Books, 2012). The perfect form for you? I tend to use words as inspiration – borrowing phrases from poetry etc… But I also always keep a look out when I’m out and about. I do think I’m more of a verbal person, not so visual, but whenever asked to take inspiration from a photo or video, I’ve loved doing that. I am tempted by Word Art or Text Art, doing something with my words in a visual way. You live in Bristol. Is it a good place to live the writer’s life? It’s lovely living here, we moved here from Jerusalem 3 years ago. I grew up in London, but lived in Israel for 15 years, so I don’t quite feel English any more. Bristol has lots of lovely cafés that are ideal for a writer to write in, in fact I am writing in one now. The other great thing about Bristol for me, is the Bristol Short Story prize: now one of the world’s greatest prizes for a single short story. This year we held the second ShortStoryVille – a one-day celebration of the short story, so this really is the perfect city for me. I am also very lucky to be writer-in-residence here at Bristol University’s Science Faculty, headed by a Dean of Science who is very open to art-science collaborations. And where do you write? Sometimes in my writing shed at the end of the garden. Sometimes (often) in bed. Sometimes in cafes. A lot of the time – in my head. You picked the photograph of the light switch, why? Because I’m contrary! Why else would you select a photograph of… four light switches. 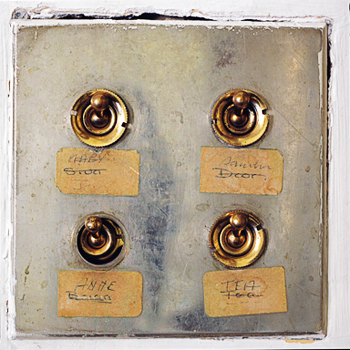 Four LIGHT SWITCHES. Hmm. I really think I picked that to challenge myself most. I think it worked! Is ‘Switchgirls’ a new direction for you? This is one of the most surreal stories I’ve written, and I do usually write quite surreal stories. It has a science-fiction-ish flavour, I think, but I do prefer to leave those kinds of things to the reader. I’ve learned that with very short stories it doesn’t matter so much what I think I’ve written, readers read them differently, I need to let that go. Have you collaborated with artists before? I have done one, it was the PhotoStories project organised by Notes From The Underground. Each writer picked a photo, wrote a story inspired by it, and then a designer incorporated the story into the image to produce a new entity: a typograph. I loved doing that! The typographs have been exhibited in several venues and there are plans for further exhibitions, I believe. Ha, well, yes. No large overarching project, but I just sent an entry to the Wellcome Trust Screenwriting prize, an idea for a biomedicine-inspired feature film. I am also working on a sort of novella thingy, not ready to say any more about that. And stories, always more stories, many inspired by my residency in a biochemistry lab. I have a packed few months coming up, with readings from my new book, My Mother Was an Upright Piano: Fictions (Plymouth Book Festival, Cork Short Story Festival, Ragged Stone in Portishead, Stories Aloud in Oxford, Swansea University), workshops (Mr B’s in Bath, Cork Short Story Festival, Arvon Foundation) and as a judge for this year’s Royal Society Winton Prize for popular science books. Exhausts me just to write all that!